When Daria Shashina left SEREBRO, fans of the group were very disappointed. If they only knew what happy changes are waiting for the singer! 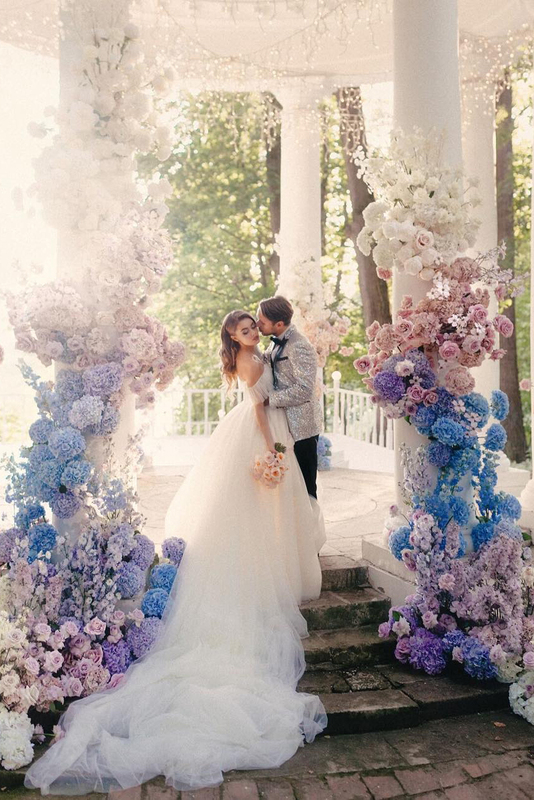 Pop star played a fairy-tale wedding with a colleague on the stage Ivan Chebanov. The ceremony took place at the Sukhanovo estate near Moscow. 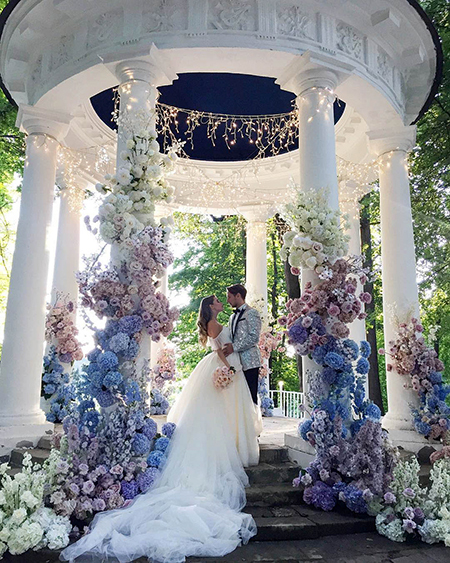 Pedestal for the wedding couple has become a luxury stone arbor, richly decorated with flowers. 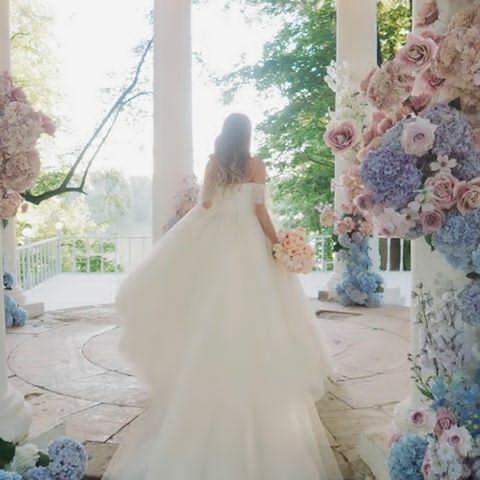 White, blue, lavender and powdery roses, hydrangeas and other stunning blossoms, carefully selected by florists, given the atmosphere of the wedding location of this tale. And in the twilight arbor covered with thousands of lights, which was a pleasant surprise for the guests. 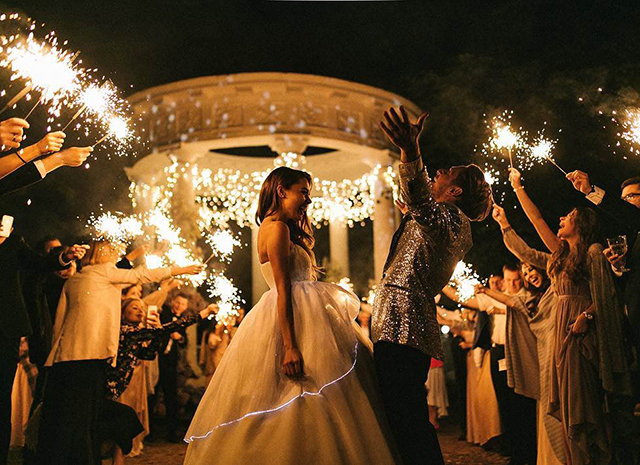 That is why it was called a "firefly" wedding. "We planned to make our holiday magical, incredible, soulful, and private, - told Daria Shashina. - We knew it would be good but it exceeded all expectations! 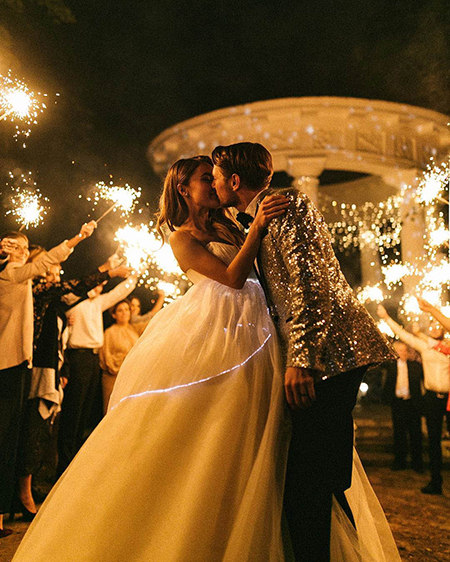 It was the wedding of my dreams! Better can not imagine right now! I was crying the whole evening from happiness! Thanks to my best friends! Without you all this would not have been! " Recall, Daria and Ivan started dating before the departure of the singer from the SEREBRO group. As colleagues across the stage, the young people could understand each other without words, they had a lot of common interests and a love of music. When Shashina had health problems due to which she had to leave the band, the boyfriend was her strong support. It is possible that in the near future the pair will please fans another with good news - the imminent replenishment, because Daria plunged into family life, and it looks like she is really like it. The ex-soloist Daria SEREBRO Shashina, after the departure of Serebro, became a blogger under the pseudonym luuna, married a former member of the "The Voice" show Ivan Chebanov. Celebrations were held yesterday at the Sukhanovo estate in the presence of relatives and friends of the couple. 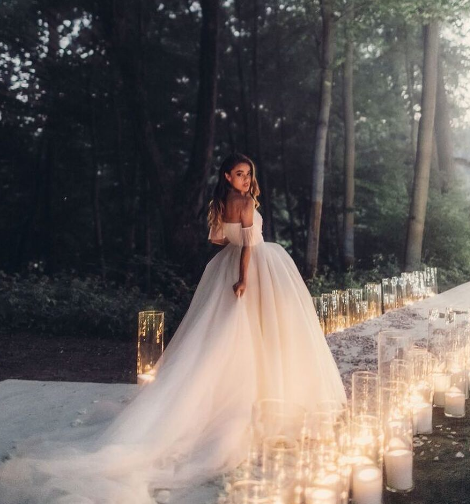 "Can you imagine, I always wanted to play lavish wedding, but now, in the preparatory process, I understand that, ideally, I would like to see parents, sister and her husband and the most-closest friends at my wedding. 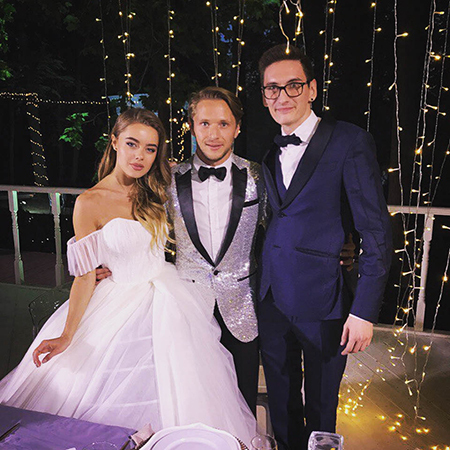 A maximum of 15 people, - said Daria on the eve of the wedding, but her wedding with Ivan was attended by more than 15 people, which can be seen in numerous publications on Instagram. 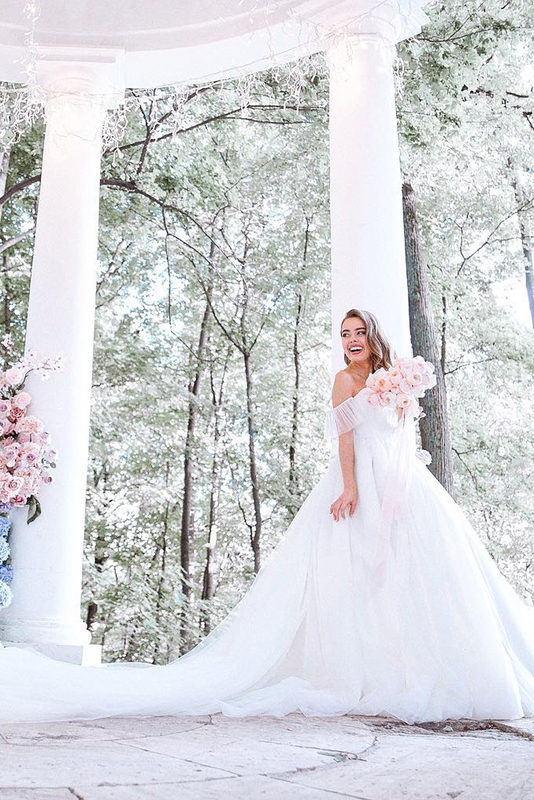 It is known that Shashina went down the aisle in a dress with lush skirt and bare shoulders by Yulia Prokhorova Beloe Zoloto, then switched into a short dress made of feathers. Note that Daria and Ivan got engaged in February this year. Before making a decision on official registration of relations, lovers had been living together for two years. In November last year Chebanov released a "Luunja" music video, the main part in which performed his beloved.